If you're hoping to forgo the latest franchise blockbuster, there are a handful of thoughtful films showing in theaters around San Francisco this upcoming week. 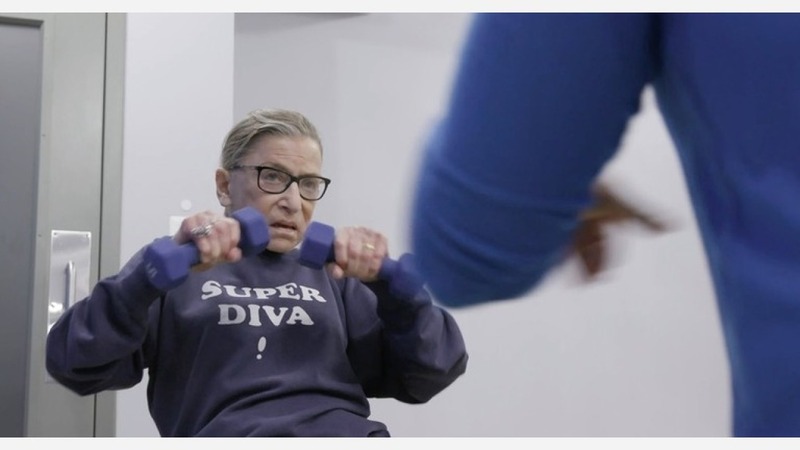 From Grace Jones to Ruth Bader Ginsburg to Pope Francis, here are some well-received documentaries, based on critical scores sourced from review aggregator Rotten Tomatoes. The landmark documentary about the tragically ill-fated Rolling Stones free concert at Altamont Speedway on December 6, 1969. Only four months earlier, Woodstock defined the Love Generation; now it lay in ruins on a desolate racetrack ... outside of San Francisco. With a 100 percent approval score on Rotten Tomatoes, "Gimme Shelter" is a must-see. It's playing at the Yerba Buena Center for the Arts' Screening Room (701 Mission St.) on Thursday, May 24 at 7:30 p.m. Get tickets here. This electrifying journey through the public and private worlds of pop culture mega-icon Grace Jones contrasts musical sequences with intimate personal footage, all the while brimming with Jones's bold aesthetic. A larger-than-life entertainer, an androgynous glam-pop diva, an unpredictable media presence -- Grace Jones is all these things and more. Sophie Fiennes's documentary goes beyond the traditional music biography, offering a portrait as stylish and unconventional as its subject. Taking us home with her to Jamaica, into the studio with long-time collaborators Sly & Robbie, and backstage at gigs around the world, the film reveals Jones as lover, daughter, mother, and businesswoman. But the stage is the fixed point to which the film returns, with eye-popping performances of "Slave to the Rhythm," "Pull Up to the Bumper," "Love is the Drug," and more. Jones herself has said watching the film "will be like seeing me almost naked" and, indeed, Fiennes's treatment is every bit as definition-defying as its subject, untamed by either age or life itself. "Grace Jones: Bloodlight and Bami" has a 84 percent approval score on Rotten Tomatoes. It's showing at the Roxie Theater (3117 16th St.) between today and Monday, May 28. Get tickets here. With a 93 percent approval score on Rotten Tomatoes, "RBG" is one of 2018's most popular documentaries to date. It's playing at the AMC Kabuki 8 (1881 Post St.) for the foreseeable future -- at least for the next week. Get tickets here. Another 2018 documentary, "Pope Francis - A Man of His Word," has a 88 percent approval score on Rotten Tomatoes. It's playing at the AMC Van Ness 14 (1000 Van Ness Ave.) through next week. Get tickets here. A look at Jean-Michel Basquiat's life pre-fame, and how New York City, the times, the people and the movements around him formed the artist he became, BOOM FOR REAL weaves the story of Jean-Michel and the city with never before seen works, writings and photographs. Director Sara Driver worked closely and collaboratively with her friends and other artists who emerged from that scene: Nan Goldin, Jim Jarmusch, James Nares, Fab Five Freddy, Lee Quinones, Luc Sante and many others. As they participated in the film with their thoughts, period film footage, music, images, and anecdotes of their young friend, they helped visually tell the story of Jean-Michel's downtown NYC -- pre AIDS, President Reagan, the real estate and art boom, and before anyone was motivated by money and ambition. The definition of fame, success and power were very different than today -- to be a penniless but published poet was the height of success, until everything changed in the early 1980's. This is New York City's story before that change. Lastly, with a 83 percent approval score on Rotten Tomatoes, "Boom for Real" is another newly released documentary that's attracting attention. The film is showing at the Roxie Theater (3117 16th St.) beginning on Saturday, May 26. Get tickets here.